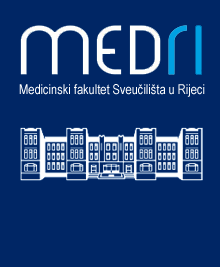 The purpose of this paper was to present the organization of prenatal care in the city of Rijeka and to present the results obtained by noninvasive (biochemical screening for Down syndrome-DS) and invasive methods (amniocentesis-AC) for chromosomal aberration detection during the second trimester of pregnancies. A total of 1856 AC were performed from May 1986 until August 2004 and 10,057 pregnant women underwent prenatal biochemical screening for DS using double (MS-AFP and free β-hCG) or triple tests (MSAFP, free β-hCG and nE). The frequency of abnormal karyotypes in the pregnancies that underwent AC was 2,6%. The most common aberration was numerical (73%) with trisomy 21 in great numbers (69%). Structural anomaly was found in 27% of all obtained aberrations and 54% of them were de novo mutation. Unbalanced structural abnormalities were present in 23% of all of them. The detection rate for DS using non-invasive test was 64% (14/22), but from the year 2000 until now the detection rose to 70% (7/10), with the 6.9% screen positive rate. The respectable number of abnormal karyotypes identified in our work clearly demonstrated that non-invasive as well as invasive methods should be used in prenatal diagnostics during the second trimester.